In the latest and most challenging stop of his career, quarterback Jared Stegman at least knows he won't need to worry about having to perform menial tasks or encounter certain disruptions at practice. "We'd have to mow the field before we practice, and we'd have kangaroos running and interrupting practice. One time there was a koala - I've never seen a koala run, but it came straight through our practice." 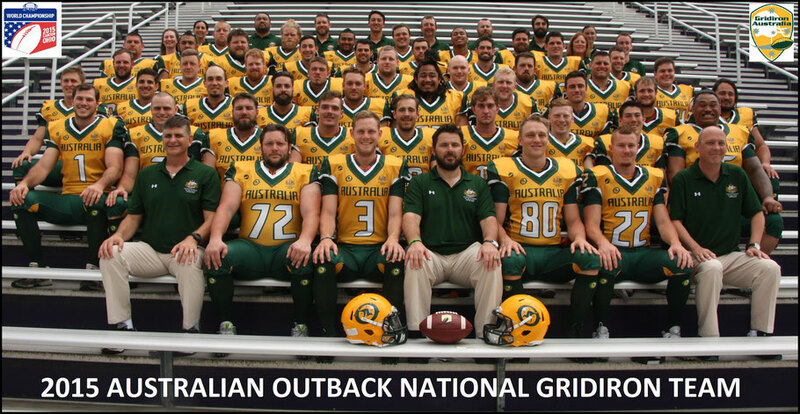 Such mundane matters while playing American football in his homeland of Australia did little to stem Stegman's grasping of the game and becoming skilled enough to where he is one of the few Australians to venture overseas to play it. From this spring the 28-year-old begins a stint in Japan's X-League with the Asahi Beer Silver Star, a tradition-rich team that has fallen on hard times in recent years. 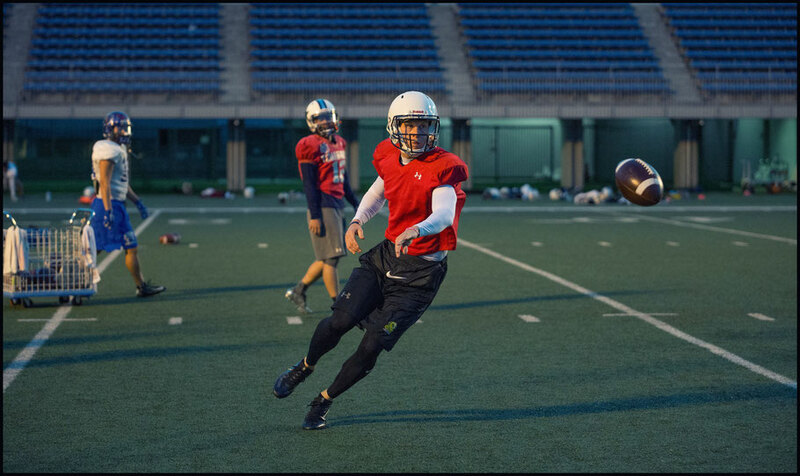 Stegman will likely make his debut on May 4 at Fujitsu Stadium Kawasaki, when the Silver Star face the Tokyo Gas Creators in their first group game of the Pearl Bowl - the league's spring event for Kanto teams. 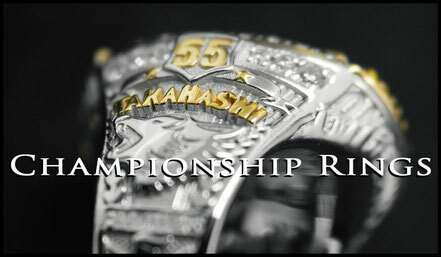 The tournament itself kicks off on April 21 and culminates with the championship game at Tokyo Dome on June 28. 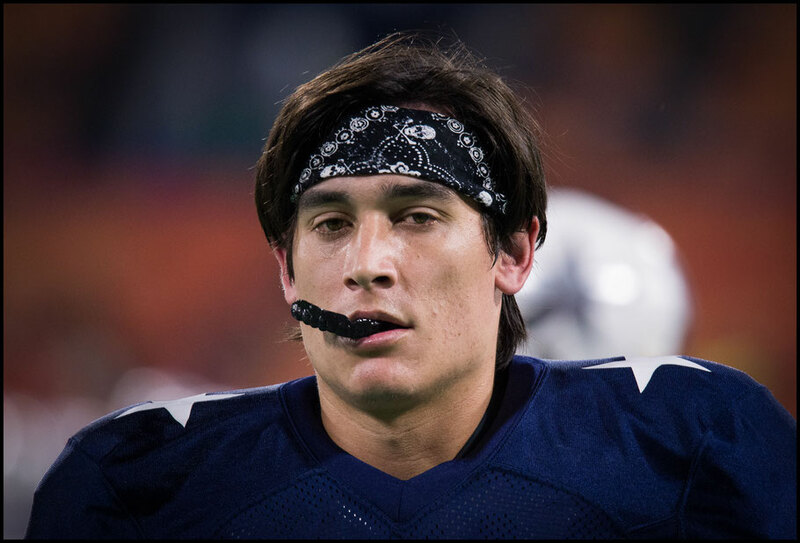 Stegman knows that not only as a foreigner, but as a quarterback, the pressure will be on him to lift the team's sagging fortunes, although the Silver Star have helped lighten the load by telling him they do not consider him a savior. 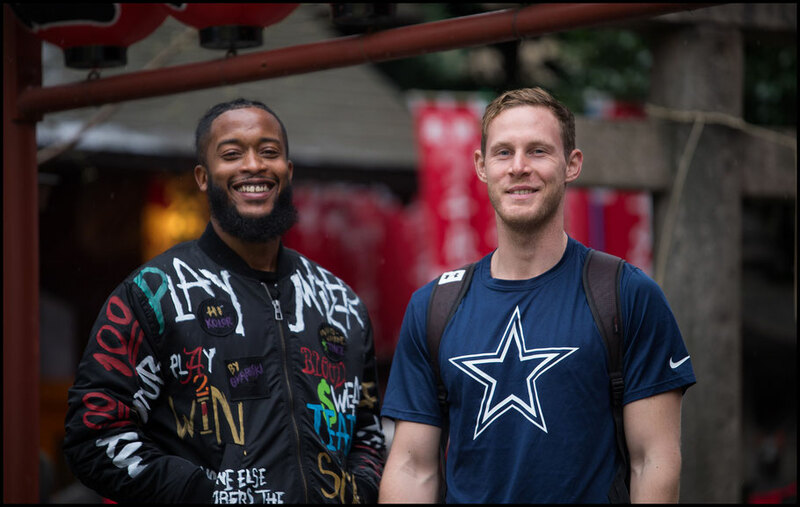 "I really like the attitude that they have here," Stegman said in a recent interview with Inside Sport: Japan. "It's not, 'You're coming here to save the team.' It's all about, 'You're becoming a part of our family, part of our brotherhood, part of our team, to work together.' They made it really clear, working together to get that job done." In any case, no one expects more out of him than Stegman himself. "I have my own expectations, and they're high enough. Any expectations from other people, I don't truly consider. I'm trying to perform to the best of my ability. Then we'll take it from there and see what happens." 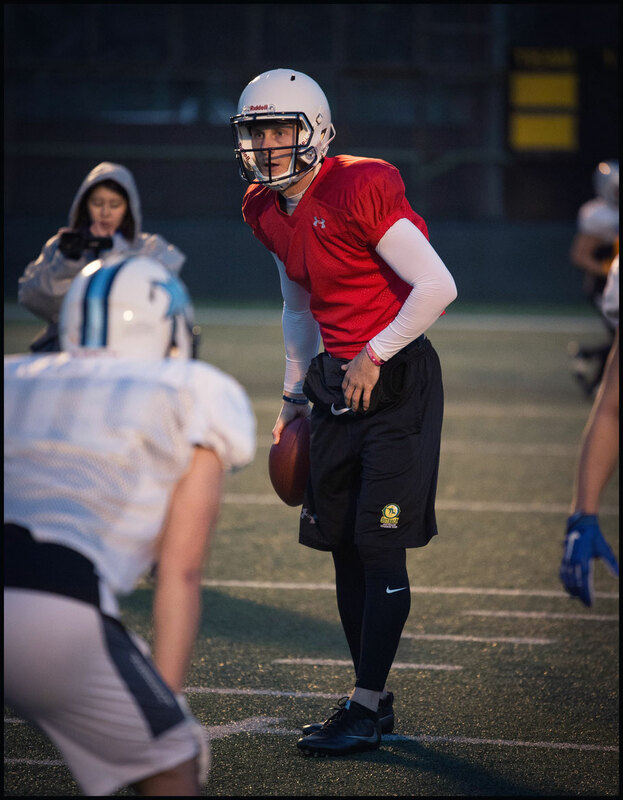 While it might seem odd that the Silver Star would recruit a quarterback from Australia when the United States produces them like corn in Kansas, head coach Hayato Arima has no qualms about the quality of his new import. "The first thing that impressed me was the fundamentals," Arima says. "Some American players have good speed and good power, but the fundamentals are sometimes not good. Throwing and steps, and getting the handoff to running backs, the option, everything, his fundamentals are good enough to play in the X-League. 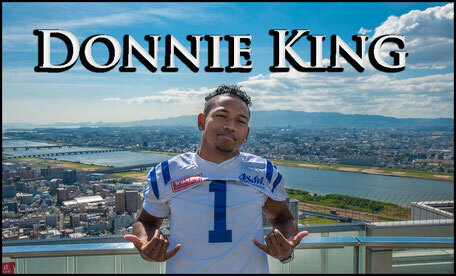 He also has a good arm and running speed is good, and his size is good." At least one Australian preceded Stegman in the X-League. 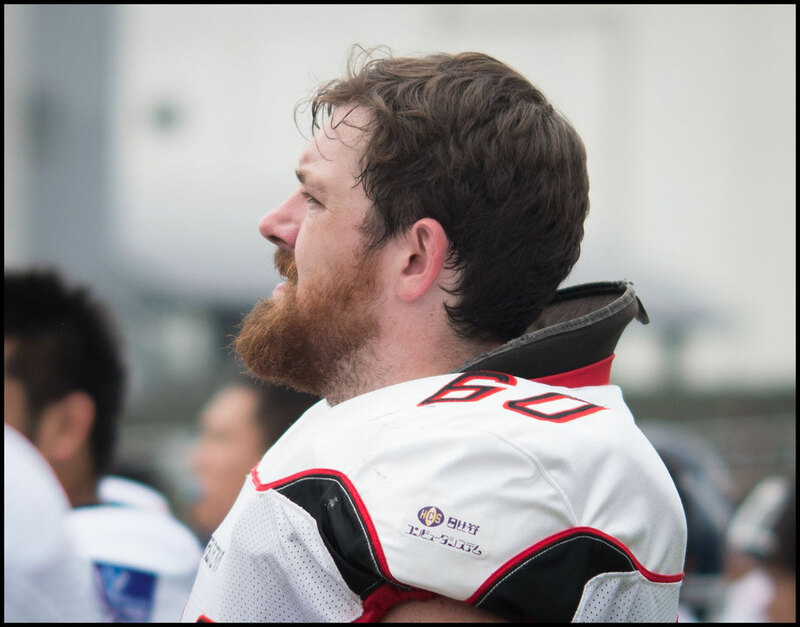 Offensive lineman Aaron Carbury, a teammate of Stegman's on the Australian national team, played several seasons for the Bulls Football Club, a second-tier team that uses want-ads to recruit players. That's a world away from landing a gig here in one of the skill positions. 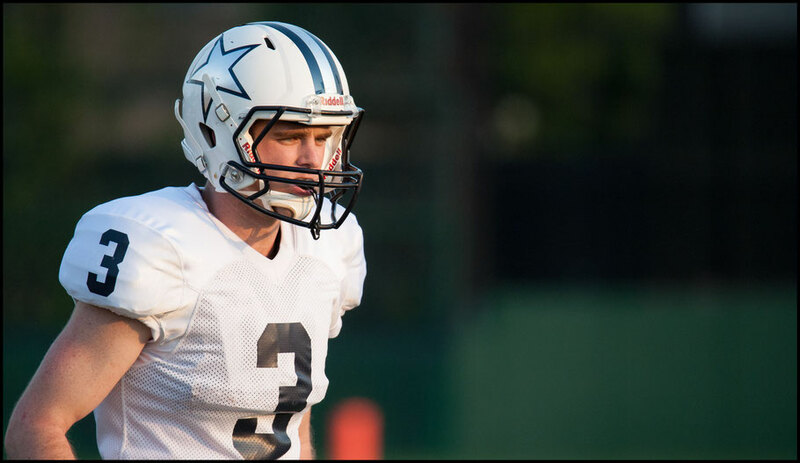 Stegman, a solid 1.88 meters and 94 kgs, will inevitably draw comparisons with Mason Mills, the only other foreign quarterback the Silver Star have ever had. Mills starred for the team for two years in 2015 and 2016, passing for an X-League record 2,037 yards over seven games in 2015. In fact, Mills and wide receiver Roman Wilson, (who only stayed for one regular season and the 2016 Pearl Bowl) set league records with 52 receptions and 975 yards in 2015. Before Stegman they were the only foreign players in the 48-year history of the Silver Star. The last of Asahi Beer's four league titles came in 1999. "Mason has a strong arm, a little bit better than Jared, I think," Arima says. "But Jared has a good enough and strong enough arm, and throwing accuracy. Athletic levels, mobility, are better than Mason I think. Faster and steps, and keeping the ball and running downfield, maybe faster than Mason." After Mills left, things went awry. The team planned to add three foreign players to the roster for the 2017 season, but failed to get through the visa red tape and not one of them ever took the field. The Silver Star muddled to a 2-4 regular-season record, then suffered the ignominious fate of losing a wild-card playoff game 20-17 to the All-Mitsubishi Lions - a team they beat one week previously in the regular season - making them the first upper-tier Super 9 team to fall to a Battle 9 opponent. Arima, a former Silver Star quarterback in his second season at the helm, says a lack of foreign players was not the reason for that poor showing. 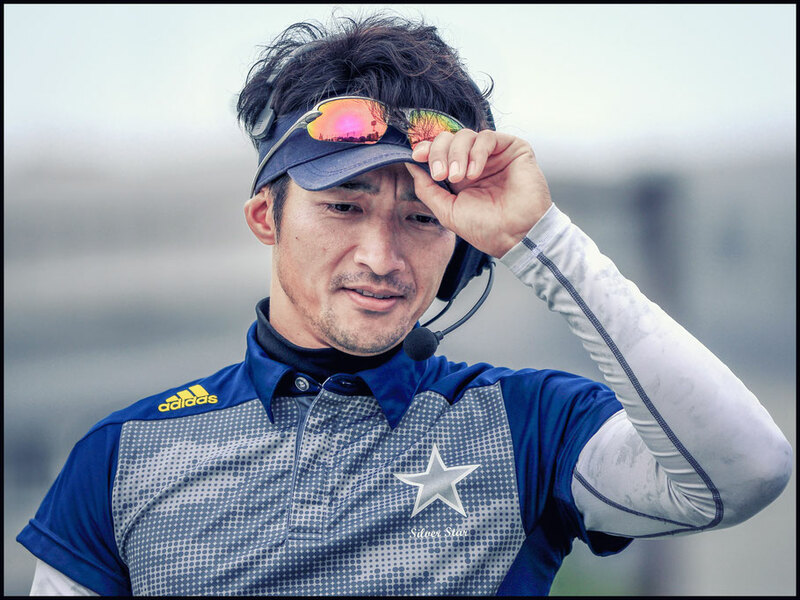 The system in place just didn't work, and so he has set about changing things, including boosting the defensive secondary and bringing in new offensive coordinator Tsukasa Miyamoto, one of three former members of the powerhouse Obic Seagulls on the staff. And, he found Stegman. Or more precisely, Stegman found the Silver Star. While starring for club teams in Australia for nearly a decade, the Brisbane native also had a measure of success playing the past three seasons in Europe, where the different seasons allowed him to play on both continents. 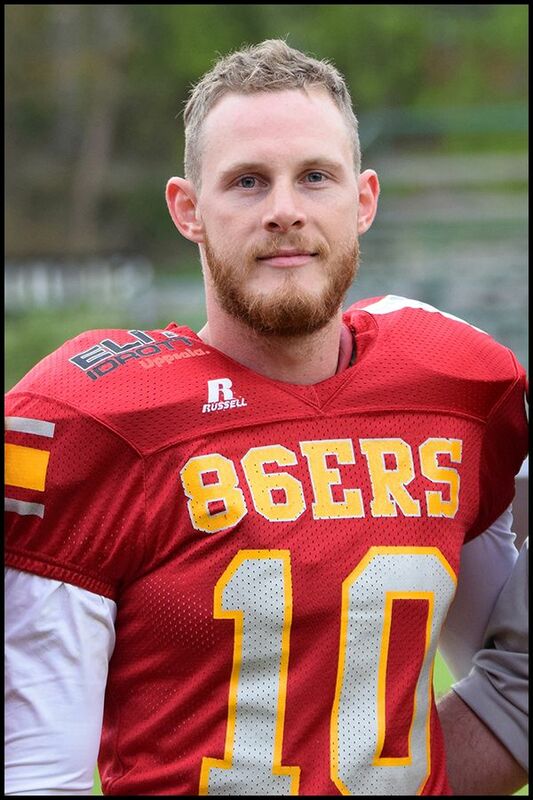 He played two years with the Swedish league's Uppsala 86ers, leading the team into the 2016 championship game while passing for 1,988 yards and 28 touchdowns in 10 games. 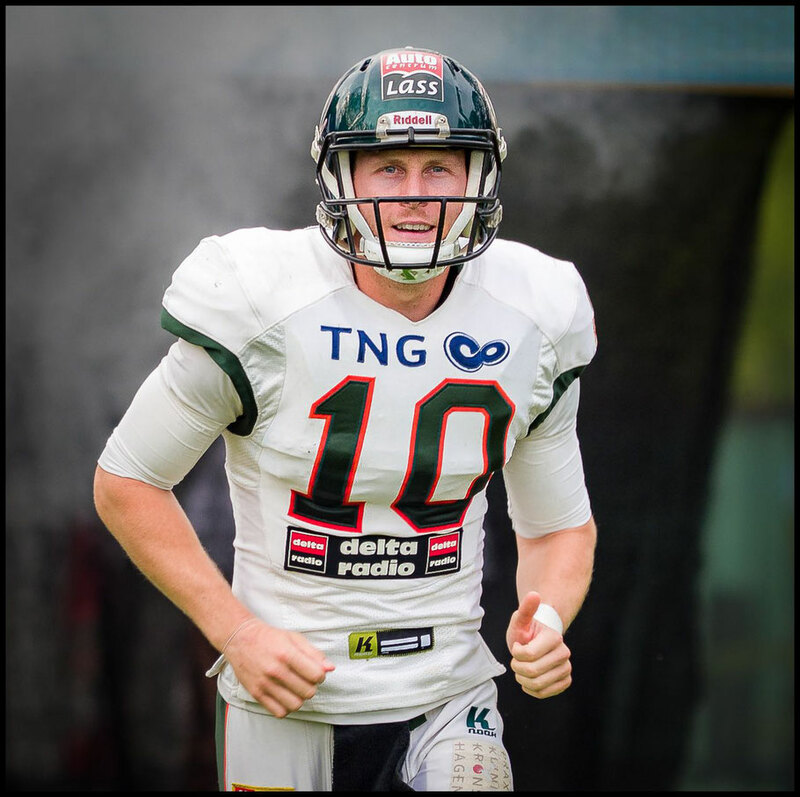 Then last year, he moved to Germany and threw for over 3,000 yards and 47 touchdowns in 16 games for the Kiel Baltic Hurricanes. But he was looking for a stiffer challenge. "Basically, I wanted to take my game to the next level," Stegman says. "I heard Japan was that next level...I had a teammate in Germany who reinforced my thinking about it being such a good league." While Stegman had the skills and the desire, he didn't have the one thing that enables the majority of American players to hook up with an X-League team - connections. But in this day and age, he used the next best thing. "The same way that I did Sweden, I just went on Google and searched club presidents, team names and stuff," he recalls. "I couldn't find much, because it was a lot of Japanese, and the translation on Google translation wasn't even that clear. "Basically I found the Silver Star, and there were a few teams on Facebook that I saw. So I messaged those team pages directly on Facebook, six or seven teams. And the Silver Star responded, so then we got into talks, and here we are." 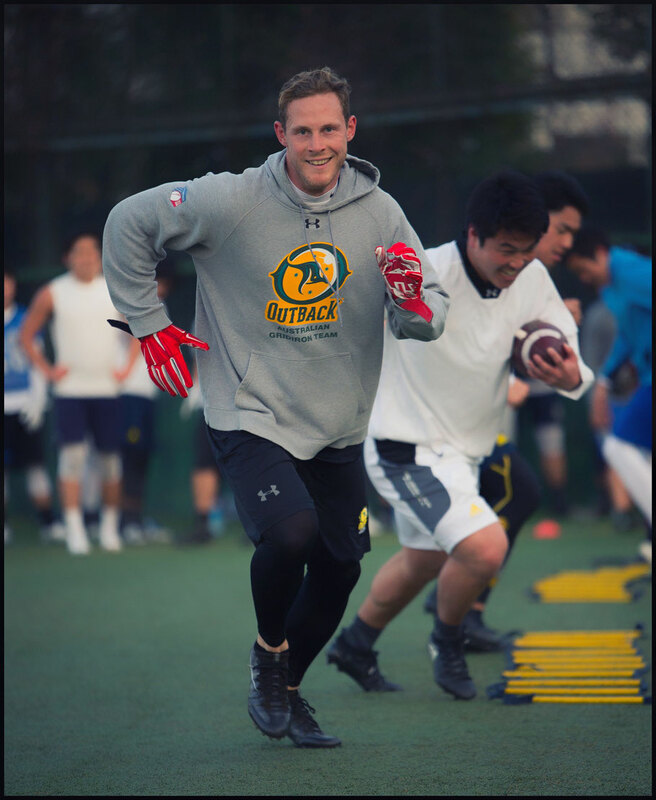 Stegman's image of Japanese football being high level was reinforced when he played for Australia at the 2015 IFAF World Championship in Canton, Ohio - a tournament in which he threw for a record four touchdowns in a 47-6 opening game victory against South Korea. Australia ended up finishing fifth overall. Asked about the Japanese team, which finished as runner-up to host nation United States, he replies: "First impression was the speed. They're just so quick and fast. I think a lot of people know that the Japanese are very disciplined, and that shows itself on the field. Everyone knows their assignments, execution is always right. It was good to watch them, actually." 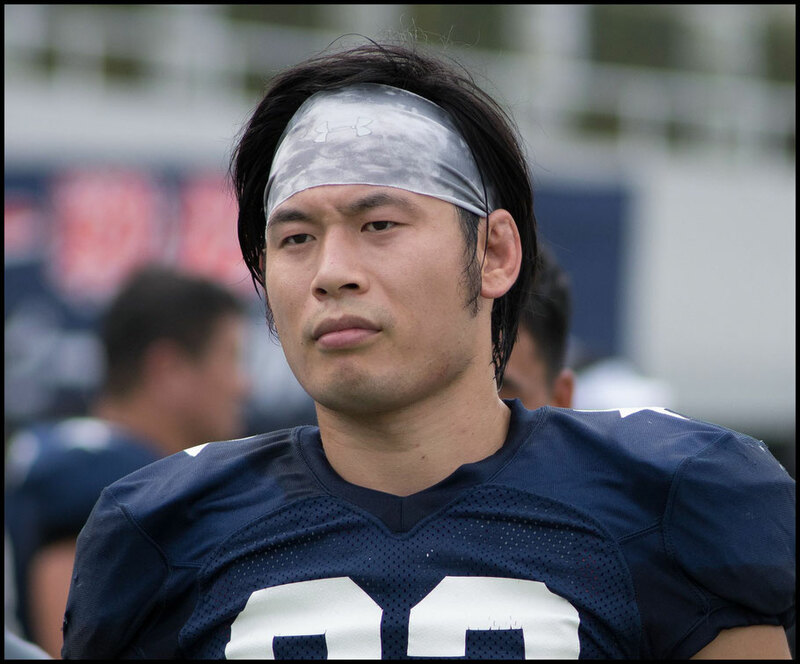 New teammate and Asahi Beer top receiver Yuta Hayashi was on that Japanese team, and recalled the Australian squad. "Even though they were not that strong, they know the game," Hayashi said. "Japan has many people with high skills, and if he absorbs that - he's already a good athlete - he will definitely get better." Perhaps more surprising than finding a quarterback from Down Under is the fact that Stegman is a self-taught one, having only received some tips along with the way. "My most influential coach was the national team coach," Stegman says. "The problem with that is Australia is so big, it's so hard to coordinate everyone into one space. I think I've had three camps with him over six years, but those camps are just so vital. "He really taught me how to read the game, and keying defenders. Before that, I was just looking at the open space and looking at my receivers. He taught me a lot, and I was able to take that back home and refine it myself." So how does the son of a rugby journalist, in a hemisphere where the British ball game is far more popular, even get interested in the American sport? "It started by playing Madden, the video game," Stegman says with a smile. "I just thought, 'I'm pretty good at this game, I'm going to try it.'" He was also influenced by his best friend at the time, a Canadian. Stegman relates the story of how his friend had a commemorative football on a mantelpiece that was off-limits, but Stegman desperately wanted to try throwing. "We had this agreement, if the Seahawks play the Patriots in the Super Bowl, we could throw it at halftime. So finally they did it, and we got to do it." The two would toss around a football in the park during their high school days at Marist College Ashgrove, a Catholic boys school in the Brisbane suburbs. It was then that Stegman, who was also playing basketball at the time, made up his mind. "Basically, I was like, I can do this in real life, I think. There was a team starting up near my home, so it was the logical choice." Stegman joined the local club team, where he played one year on the junior squad (14 to 18 year olds). He showed promise early on, and was invited to play on the senior team, which is where he got his first introduction to the perils of outsized competition. "It was the biggest hit I've ever taken, like a blindside hit," he recalls with a wince. "On junior level, I could just chill back there. But I just felt this helmet in my back. I just got thoroughly smacked, and I remember it to this day." Stegman also had to tackle questions back home about his choice of a new sport. "It's usually, 'There's football here? ', Stegman said of the typical reaction. "To be honest, everyone knew that I was a sporty person. I played so many different sports - basketball, rugby, cricket, soccer as a youngster. There were four terms, each term a different sport. I played rugby outside of school for a club team." While Stegman's athleticism was never in doubt, he was realistic enough to know that he would never reach the highest level in rugby, one of Australia's most popular sports. That also helped steer him toward football. "To be honest, I always thought of myself as not the highest level of athlete," he says. "I've always been realistic, and I didn't think I had that shot. That's kind of why I went with football. 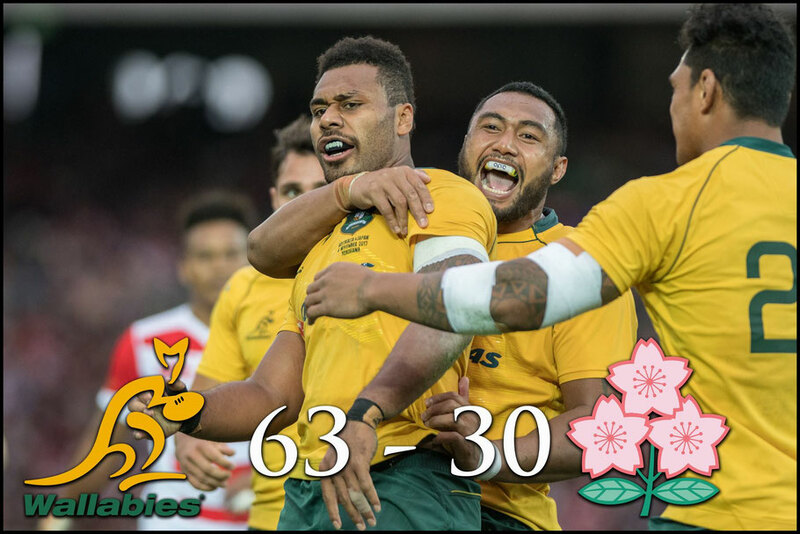 The competition in rugby is just so elite. I didn't have the doors open for me in that sport. I just kept going in football and had some success." Stegman would have liked to have experienced playing college football in the United States, where games at major schools can pack in over 50,000 fans. But he needed to be a national team member to be eligible, and that did not happen until he was 21, when he also suffered the first of two ACL injuries. "I might have had a chance, maybe if I didn't do that," he says. 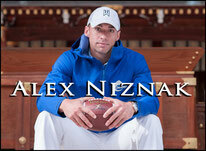 "By that time, I had almost graduated university, all of my eligibility had been soaked up by that. Then when you get paid overseas, your eligibility is gone." Coming to Japan, Stegman will have one obstacle to overcome besides reading defensive schemes and avoiding blitzing linebackers. Just as other imported quarterbacks have done, he needs to get past the language barrier to establish lines of communication with his teammates. "It is really tough, to be honest," he says. "In terms of communication on the field, that has been a bit of an issue. For example, the Japanese players will get the information for what the play is; they can mentally rehearse, which is vital. I'm getting it just as the snap's coming. I feel it's a bit of a burden, but I just have to do it anyway." Hayashi, however, says it has not been such a problem. "Before, Mason was here," he says. "So in terms of communicating with a foreigner, Jared is starting to learn Japanese, and we know some English words to be understood. So we can communicate. He's working hard to get in sync with Japanese football, so it's easy to work with him." Arima says Stegman's personality and work ethic fits in well with Japan. "He is very diligent," Arima says. "He studies the game. 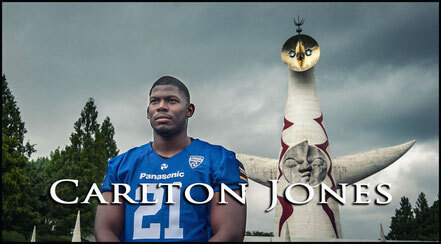 He knows what's needed to live in Japan and play football and work. For example, every time he comes here on time, not late. At business meetings, every time he is on time. Some American players are always late. He is not American." As the X-League is semipro, Stegman has to have a job outside of the Silver Star, which is a club team and cannot provide him with one. When he isn't checking out defenses, he will be checking in travelers as a hotel receptionist in Nihonbashi in Tokyo. 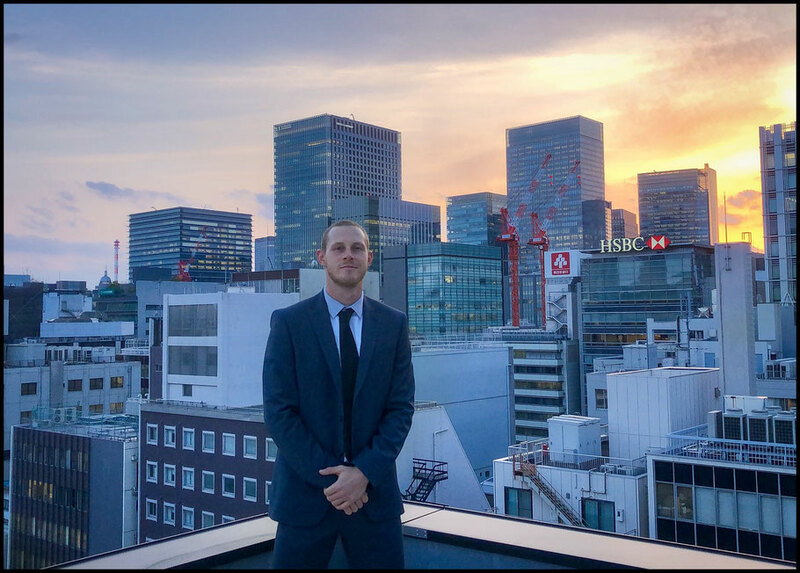 Although no fan of the commuter train he takes to his job and Asahi Beer's practices (the team uses the Kawasaki stadium for training), he is ready to enjoy the benefits of life here. "The best thing obviously is the food. I love Japanese food. The fact that it is so cheap here is just amazing." There is also the prospect of being closer to his parents, at least in comparison with playing in Europe. "Mom loves it because it would be easier to see me. She loves Japan and my sister loves Japan, so they're really excited. My dad as a rugby journalist, he knew what kind of set up was here, he's excited for me." For now, Stegman is excited about putting his skills to the test at a higher level. "I'm still improving my game. I'm trying to take it as far as I can. Football to me is a personal endeavor. I'm passionate about it. I'm trying to take my game to the highest it can go." Speaking next to the Silver Star clubhouse a flare pass away from the stadium, Stegman reminisces on how far he has already come, culminated by the difference in facilities. "Coming from some of the fields that we play on back home, to have this as our practice field, I see this as just a luxury," he says. "I don't take it for granted. I love the fact that the players will come off and turn around and bow to the field. That's amazing." It's an appreciation the kangaroos never seemed to show.